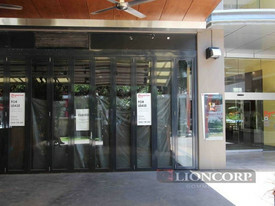 133 Commercial Real Estate & Properties in Fortitude Valley are listed in 7 categories. 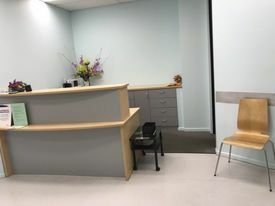 We have 81 OfficesLease , 36 Retail ShopsLease , 13 Medical and Consulting PropertiesLease , 3 Other Commercial PropertiesLease , 2 Hotels and LeisureLease and 1 ShowroomsLease . 105sqm space Renovation underway Unbelievable value at $36,000pa + outgoings Freestanding 6 onsite car parks Warehouse/office space multiple uses Zoned PC1 Roller door access Split system air conditioning units in place Walking distance to Fortitude Valley Train Station and various bus routes Walking distance to the King Street Precinct and the Fortitude Valley Please call Your Commercial to arrange an inspection. 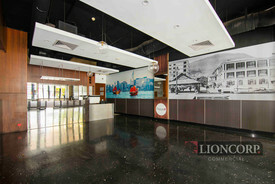 Fully Furnished | Excellent Amenities | Reception Services $320pw | 3 Person Workspa..
PROPERTY OVERVIEW $320pw Price incl. 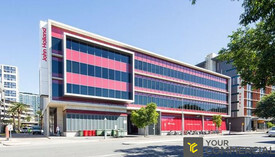 Modern serviced office space in cosmopolitan Fortitude Valley. Price incl. 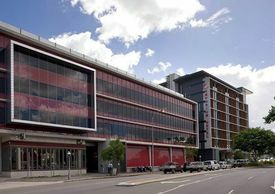 Internet, Rent, Electricity, Building Outgoings & All Utility Bills Flexi terms New Kitchen Meeting rooms Boardroom Cleaning Receptionist 24/7 access Brand new fit out Avail NOW for short or long rent The business centre in Fortitude Valley is in Brisbane's most compelling new commercial development. 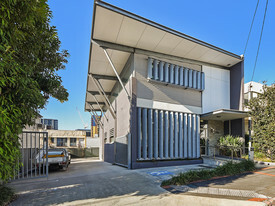 Strategically placed in a position of maximum prominence within the Green Square precinct, one of the most high profile precincts in Fortitude Valley. Conveniently close to Brisbane's major arterial road networks, the building delivers easy access to the CBD and links to all directions. The advertised office space is perfect for a team of 3. If that\'s not quite right, we have ready to use workspaces of all sizes all over the world and our free service will help you find the perfect solution for your needs. What you get for your weekly rent Furnished office with desks, chairs and lock up storage units Complimentary receptionist to meet and greet your clients Unlimited commercial grade internet service Electricity usage included Regular cleaning Telephone number & handset Prestigious business address to put on your cards Flexible terms from 1 month 2 years Ability to bring your existing phone number over 24 x 7 access to your office 24 x 7 security Office features Full mail management and postage Boardroom and Meeting rooms available Signage board in foyer to highlight your business name Quality finishes and amenities throughout Professional environment Server / Comms rooms available for server storage Building features Modern high rise High speed lifts End of facilities showers and changing rooms On site sandwich/coffee bar Car parking in building and surrounding areas Dedicated on site management team 100m to Fortitude Valley Train station 200m to St Pauls Terrace and Wickham St Buses Only minutes away from Brisbane CBD Close to shopping malls, cafes, shops, pubs in fact everything! WHO IS OFFICE HUB? 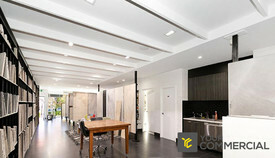 Office Hub is Australia & New Zealand\'s No 1 small office space commercial real estate agency. We have the largest collection of shared spaces, coworking and serviced offices in Australia & New Zealand, perfect for 1 100 employees. Let us take you on a tour of all the spaces that fit your needs and budget. Our service is complimentary and we work for you and the landlord to negotiate the most competitive deal in the market. Let us show you how shared and serviced offices can be the perfect solution for your business. www.office hub.com.au www.office hub.co.nz Conditions apply A portion of the square meterage factors in access to shared space. Price includes any incentives offered. This is for new tenants only.